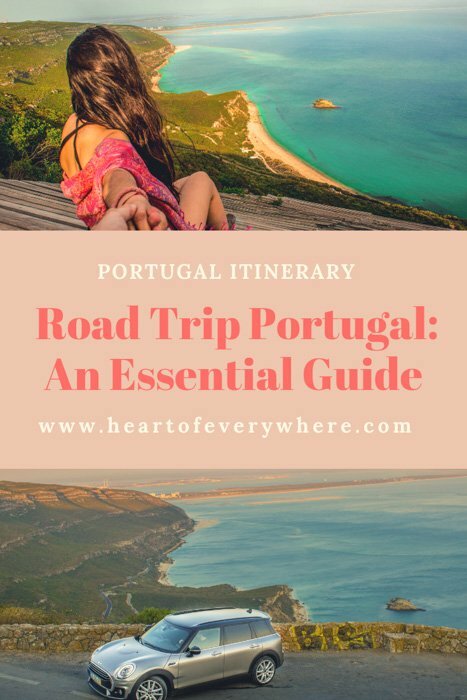 Are you looking for a Portugal Itinerary to help you plan the best possible Portugal road trip? You came to the right place. 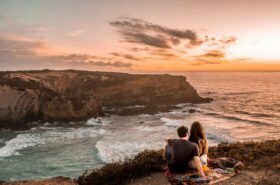 This article was tailor-made specially for those dreaming with the perfect itinerary to road trip Portugal. In terms of area, Portugal might be a tiny country, but it does have a great amount of incredible places waiting to be explored by you. 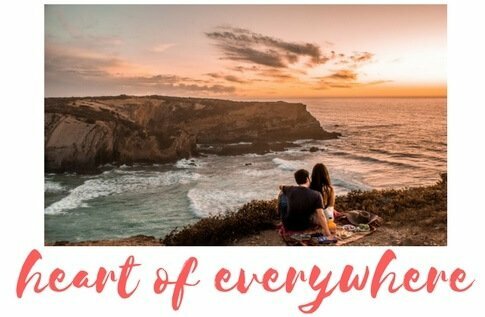 Portugal never ceases to amaze us with all the places we often discover and road tripping Portugal is probably one of the best ways to experience what this country has to offer. We don´t want to sound too cocky or arrogant, because neither of us is like that in real life. 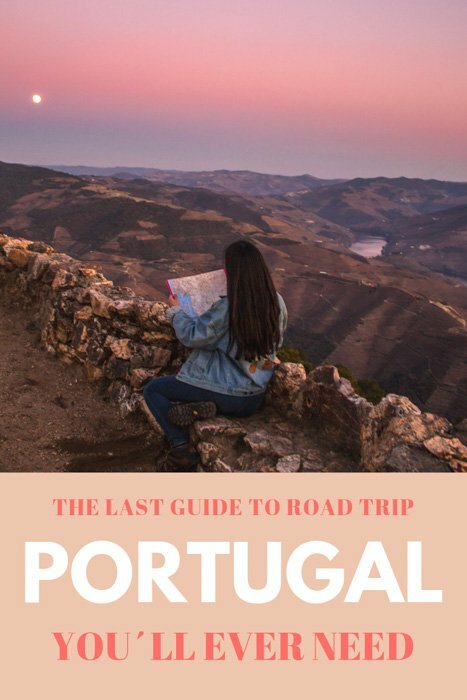 But, after more than 20 years living in Portugal and more than 5 doing summer road trips, we think we might have crafted one of the most complete guides for your Portugal road trip. Or at least, we like to think so. In this article, we tried to cover everything. From the best places to visit, to where to sleep and even one or two suggestions of Portuguese food that you shouldn´t miss at any cost. If after reading our guide you feel it wasn´t that good or that helpful. Or if you found a better one. Feel free to trash our egos under the bus and comment with your suggestions so that we can improve this article. Before parting on your adventure through Portugal, we advise you to spend one or 2 days in Lisbon. If you want to discover the best things to do in the capital of Portugal, don´t miss our Lisbon itinerary. There is more than one possible way to reach Sintra from Lisbon, but none is as scenic as the N6 and N247 roads along the coast. So, when leaving Lisbon´s be sure to check if you are hitting the N6. Cascais village is known to be one of the most chic and refined destinations in Lisbon´s area. In past times, Cascais was the summer retreat of the Portuguese Royal Family. It has numerous luxurious hotels by the sea and a great amount of incredible places to eat . From Cascais you can even walk to Estoril where you can find one of the biggest Casinos in all of Europe, Casino de Estoril. It´s the most western point of mainland Europe. Azenhas do Mar is a small coastal village with nothing more spectacular to do besides taking a dip in it´s natural oceanic pool. Or taking a moment to appreciate the beauty of a village constructed by the Atlantic where you can no longer see where the rocks end and the houses begin. Azenhas do Mar is also a great place to have a romantic lunch or dinner at Azenhas do Mar Restaurant. It´s not, in any way, the most affordable restaurant to eat seafood in Portugal. However, due its picturesque location with Ocean views, a memorable experience is almost guaranteed. If you have a crush on panoramic restaurants and bars, you should also make a mandatory stop at “Bar do Fundo“, which is located only 10 minutes away, by car, from Azenhas do Mar. If you have time, definitely spend more than one day here. We´re pretty sure you won´t regret it! 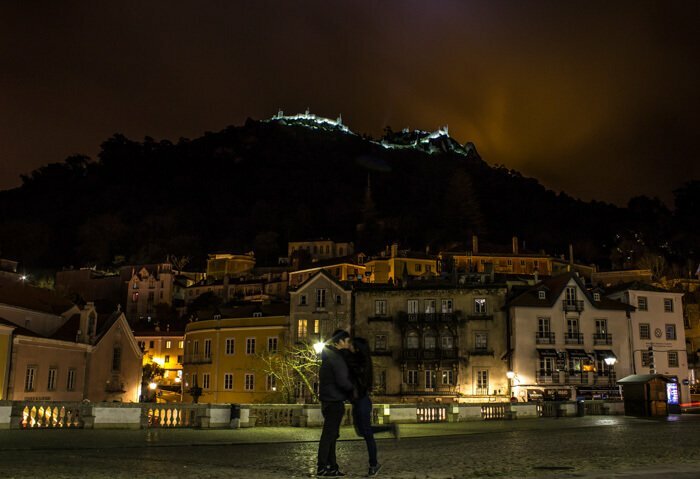 Sintra is one of the most romantic places we´ve ever been to and one of our all time favourite places in the world. You´re never short of things to see and do in Sintra. 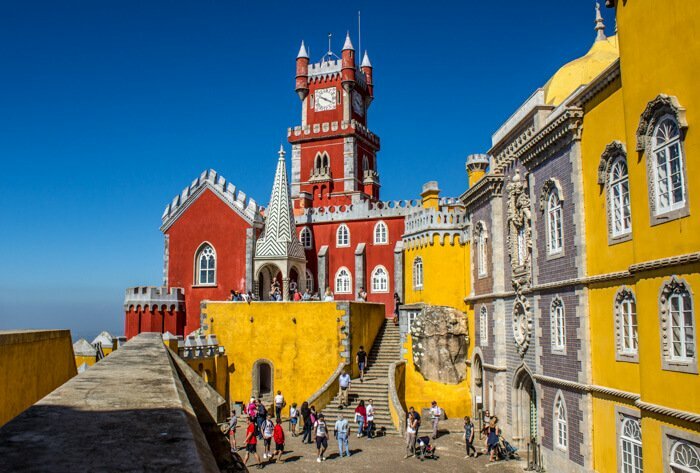 You can visit the colourful and magnificent Pena Palace, the enigmatic Quinta da Regaleira, the Castle of the Moors or the delightful Monserrat Park. But Sintra, is charming per se. Even if you don´t feel like having time or energy to indulge in a visit to all of Sintra top attractions, you can still marvel your senses while roaming the center of this enchanted village. While in Sintra, don´t miss the opportunity to taste the delicious: “Travesseiros de Sintra” at Piriquita pastry shop. Every time we go to Sintra, we can never leave without filling our stomachs with these divine pastries. On the second day of your road trip, we suggest you to drive from Sintra to Setúbal and explore one of the most beautiful natural areas of Portugal, Arrabida Natural Park. At the Arrabida Natural Park, you will find crystal clear beaches, magnificent nature and much more. We wrote a very detailed guide to Arrabida Natural Park, so don´t forget to read it. If you´re planning a summer road trip, let us alert you that since the summer of 2018, traffic in the Arrabida Natural Park, between Figueirinha and Creiro beaches is prohibited for cars from May 31st until September 16th, from 07h00 to 8:00 p.m.
We recommend you to spend the night in Setúbal. Nearly 260km separate Setúbal from Sagres. You could easily do this route in less than 4h hours, but that would take all the fun of road tripping along the beautiful Portuguese coast. 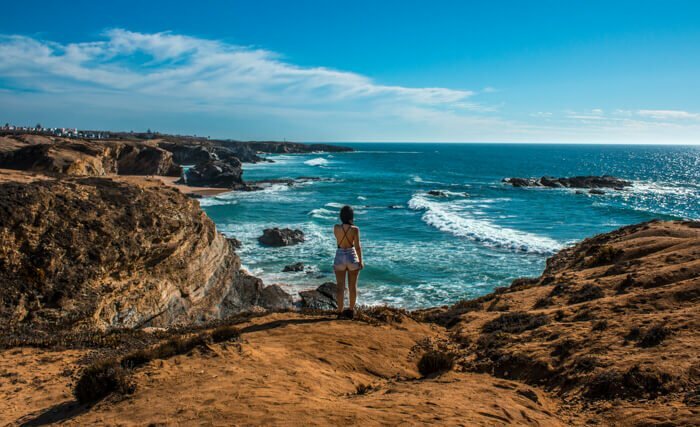 So, our advice is to take the dust out of your swimsuit and get the sun cream ready, because you´re about to hit South West Alentejo and Vicentine Coast Natural Park. That means, incredible beaches waiting for you and less crowded than the ones in the Algarve. Trust me, you will regret your life decisions if you don´t spend at least two days traversing this area. Setúbal – Sines (125km): You can continue straight from Setúbal to Sines, there´s no need to stop along the way. Save time for what´s coming next! When you reach Sines drive towards Praia de São Torpes (São Torpes beach) to catch the road with ocean views. From Sines to Porto Covo, you can drive always by the coast, you just have to follow the road M1109. The São Torpes beach is far from gaining the title of the most beautiful beach in Portugal. However, there is a really good reason to stop by as this is the only beach in our country where you can bathe without freezing. The great majority of our beaches are undeniably beautiful, but their waters seem to have come straight out a refrigerator. Our favourites beaches to stop by are Praia da Samouqueira and Praia dos Buizinhos. Vila Nova de Mil Fontes is a great place to fill your stomach with delicious seafood and fish. Our favourites beaches to stop by are Praia de Nossa Senhora and Praia dos Alteirinhos. Aljezur is home to a vast number of incredible and secluded beaches. Some of our favourites are: Odeceixe, Praia da Bordeira, Praia Monte Clérigo, Praia da Carriagem and Praia do Amado. “Sagres” isn´t just the name of one of the big beer companies in Portugal, its also a village located at the extreme tip of Southern Portugal. Sagres is a paradise for surf lovers and nature enthusiasts. Besides the remarkable beaches, we would suggest you to visit Fortaleza de Sagres. Even now that Lisbon popularity increased exponentially, Algarve, in the summer, is still the winner of mass tourism in Portugal. 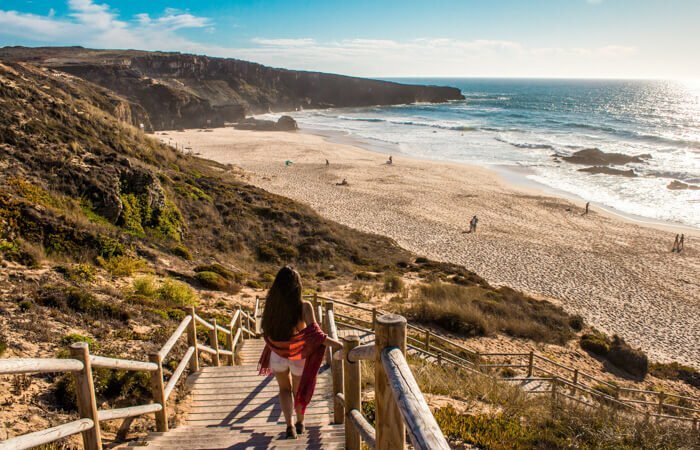 In the summer season, tourists from all over the world as well as Portuguese families come to Algarve to enjoy their vacations in the best possible way, by the beach. It´s easy to understand why everyone seems to love Algarve. The vast amount of beautiful beaches, the sun, the food, the nightlife. What to do ? Where to stop? You can pick one between the many Algarve hotspots for tourism: Albufeira, Portimão, Lagos, Vilamoura, Faro, Loulé, Tavira…. Or you can combine more than one. But one thing is guaranteed, if you´re in the Algarve, you´ll have to find a spare time to go the beach. 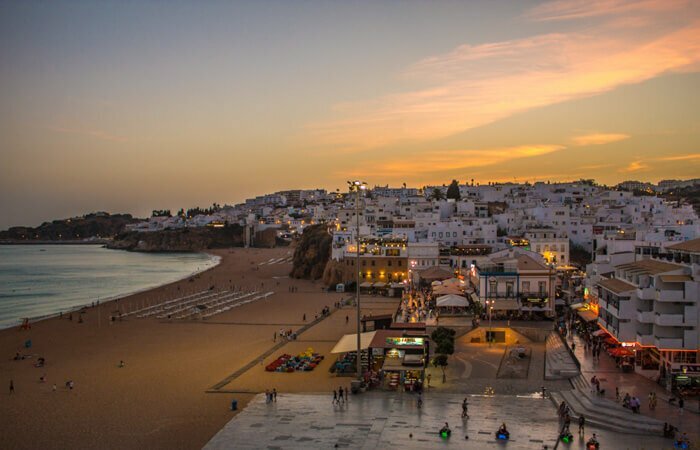 We personally love Albufeira and Lagos. Contrary to the great majority of Portuguese people as well as tourists I had never set foot on Albufeira until last summer. I must say that, regardless of how touristy the city is, it´s pretty easy to understand its appeal. From Pau da Bandeira viewpoint you can have one of the best views: white houses perched on the cliffs and an infinite blue Atlantic ocean at its feet. And if you´re a party animal, don´t miss Rua da Oura, it´s packed with clubs. Lagos, according to the Spanish edition of the prestigious Condé Nast Traveler is home to one of the best beaches in the world: Praia Dona Ana. On day 6 you´ll visit two of the most beautiful and historic villages of Alentejo region: Mértola & Monsaraz. Portugal is divided into 7 different regions: North, Centre, Lisbon Metropolitan Area, Alentejo; Algarve, Autonomous Region of the Azores & Autonomous Region of Madeira. Let us introduce you to the Alentejo. Unfortunately, is not rare that people who grow up loving every inch of Alentejo, sometimes, feel forced to leave for bigger cities due to lack of opportunities. Many of them still return later on, as they learned from a very young age to love the hardships and the simple beauty of living in the countryside. Don´t expect to find a big metropolis in the Alentejo or even a reliable train service, sometimes those in power forget Alentejo and its people. That´s why your presence as a tourist in the Alentejo is important. Tourism in Lisbon might be becoming a little bit too much. But tourism in the countryside of Portugal is still a blessing and a driving force to propel the development of such a dazzling region. This is why we as Alentejo inhabitants love your presence in our homeland. Alentejo is all about tranquility, astonishing landscapes, great food and even better wine. Watch the commercial done by the Portugal Tourism Board to promote Alentejo. Mértola was blessed by nature with its divine location by Guadiana river. Only 18km away from Mértola is “Praia Fluvial da Mina de São Domingos“, a stunning river beach. Portugal is famous for its incredible ocean beaches, but we do also have marvellous river beaches. When in Mértola, you should stop by “Restaurante Alengarve” and try one of the many delicious traditional dishes of the Alentejo region. Personally, we recommend you our all time favourite “migas à alentejana c/ carne de porco”. However, if you´re obsessed with healthy food, this might not be the right meal for you as “migas” consists of fried bread with olive oil and garlic. It´s delicious, but sometimes it´s also greasy. Parque Natureza de Noudar is a hotel, but also a destination in itself as you can visit the park without staying at the hotel. We consider this park to be the ideal place for getting a glimpse of the quiet and raw beauty of Alentejo region and its endless plain fields. If you prefer, you can sleep at Parque Noudar and visit Monsaraz in the next morning. These two locations are only 75km away from each other. 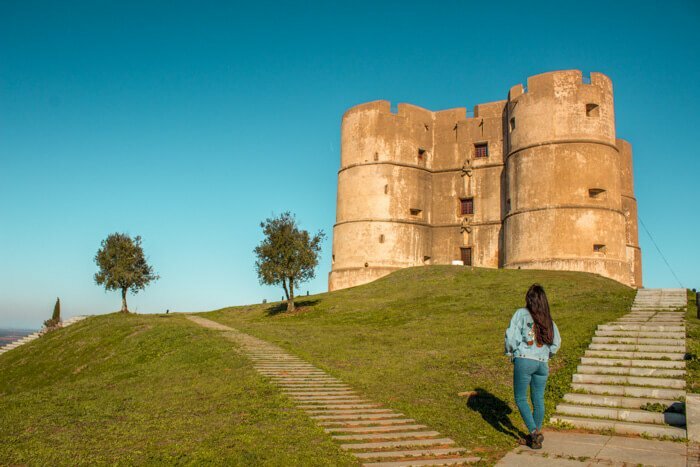 Monsaraz is a walled medieval white village where you can spend your afternoon contemplating the exceptional view of Alqueva dam, the biggest artificial lake in Europe. Parque de Natureza de Noudar: an isolated paradise, perfectly nested on the Alentejo country side. If you opted to stay overnight at Parque Natureza Noudar, after a fulfilling breakfast, is now time to drive 74km for your next destination: Monsaraz. After a quick stop to appreciate Monsaraz, hit the road again and drive towards Évora. Évora is located 54km away from Monsaraz, so not very far away. Évora has more monuments than most cities in the Alentejo region. It has Diana Temple, a magnificent cathedral, the beautiful Giraldo square perched in the city center. Évora also has a rather unusual museum: “The Bones Chapel“, the walls are adorned with nearly 5000 skulls. The main goal of the monks who brought this chapel to life was to reflect on the transience and fragility of human life. Evora is definitely beautiful. 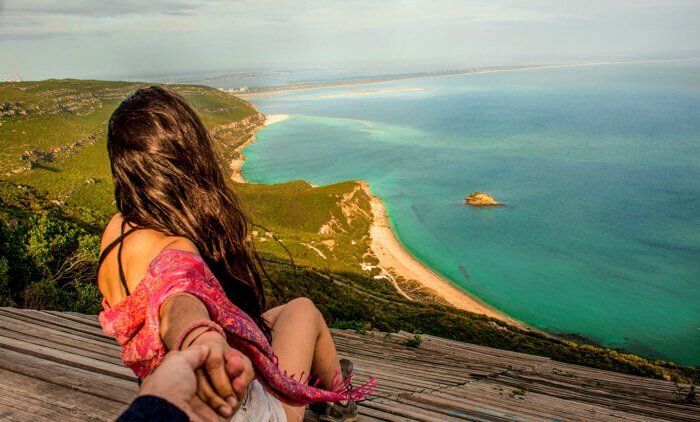 But don´t fall madly in love with it, you still have to go on with this road trip and drive another 246km, to reach your next destination: Monsanto. We personally love Moinho do Maneio. Monsanto is one of the most atypical and cute villages of Portugal. Therefore is a place we strongly recommend you to visit. As we truly want you to discover most of the highlights of our country, we couldn´t fail to suggest a visit to Serra da Estrela Natural Park, the largest mountain range in mainland Portugal. For Portuguese families, Serra da Estrela, in winter, is a synonym of snow and fun. Although in the summer the fun is also guaranteed. 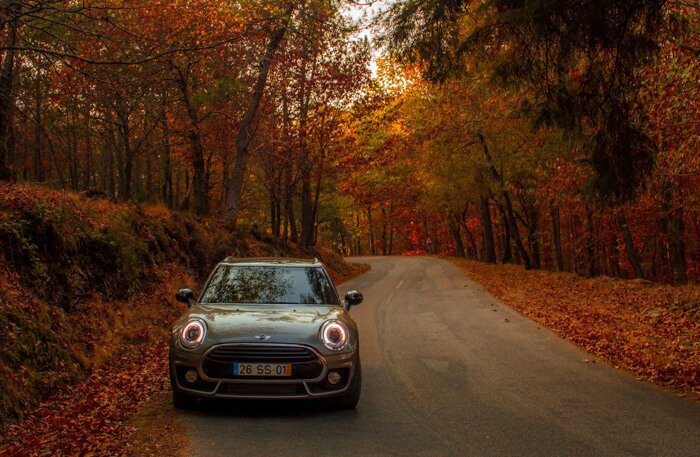 Being it driving through its endless curvy roads. Or going for a very refreshing swim in one of the many river beaches around. Or just relaxing and eating delicious cheese. If you´re a cheese lover, you must try “Queijo Serra da Estrela“ (Serra da Estrela cheese). On this road trip, you´ll just pass by this gorgeous region of Portugal and stop along one or two of the main sights. Hopefully, this will trigger in you the desire to return and explore more in depth. Considering the time of the year that you´re planning to hit the road in Portugal our suggestions of where to stop along Serra da Estrela will change. Regardless of the season, Loriga is always a delight to visit. It´s as beautiful in the summer months as it is in the winter months. 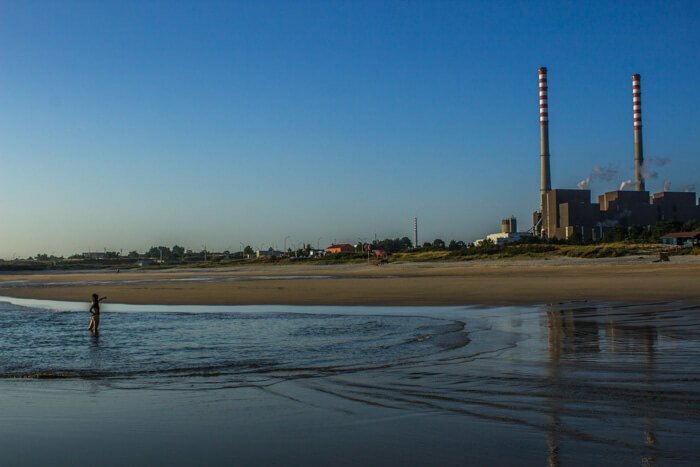 The perk of visiting it in the summer months is that you can also go for a swim at Loriga River beach – one of the most stunning river beaches in my opinion. 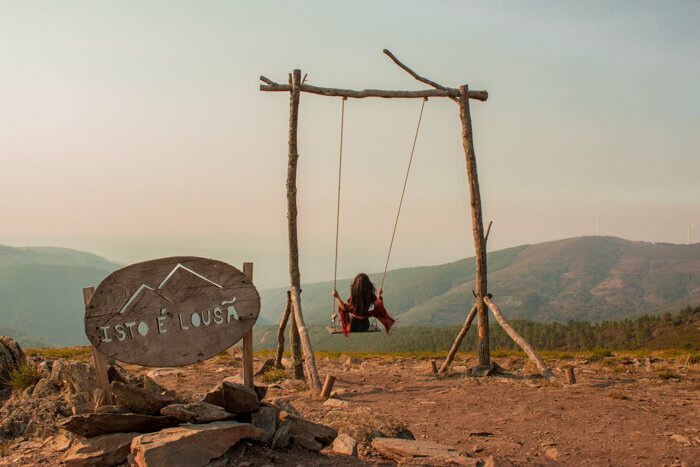 If you only have time for one stop along Serra da Estrela, let Loriga be your only stop. It´s the highest point in all of continental Portugal (1993 m). We recommend you a visit to this place if you pass by Serra da Estrela during winter months (December to March), when everything is snowy. The Torre is also the place to be, if you´re in the mood for ski as this is the only ski resort in Portugal. Cabeça is known as the Christmas village. If you´re planning your road trip to happen somewhere between December and the first week of January, you can add this little town to your itinerary as it´s famous for its Christmas decorations. Cabeça only has 200 inhabitants. But, every year, around Christmas it receives thousands of visitors who are warmly received by the population. Warning! 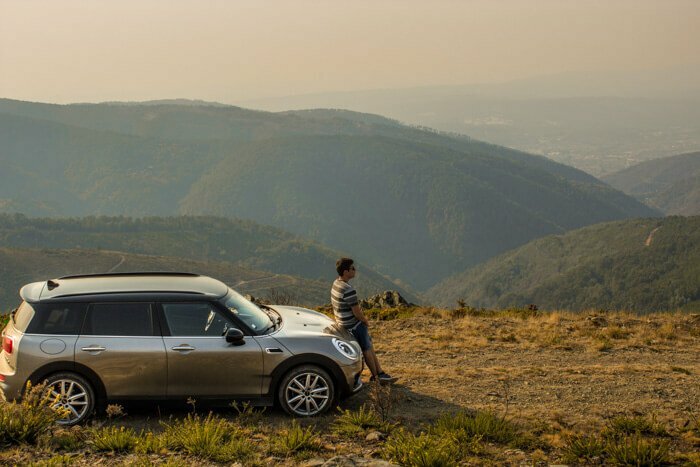 : Due to the abundance of curves in Serra da Estrela, you might take more time to reach your final destination, than what you previously expected. The possibilities of charming hotels around this area are endless. However, we could not fail to suggest one of our favourite hotels in Portugal and, therefore, we highly recommend Stroganov Hotel. Even if this means you´ll have to spend a little more of your time driving to reach the hotel. 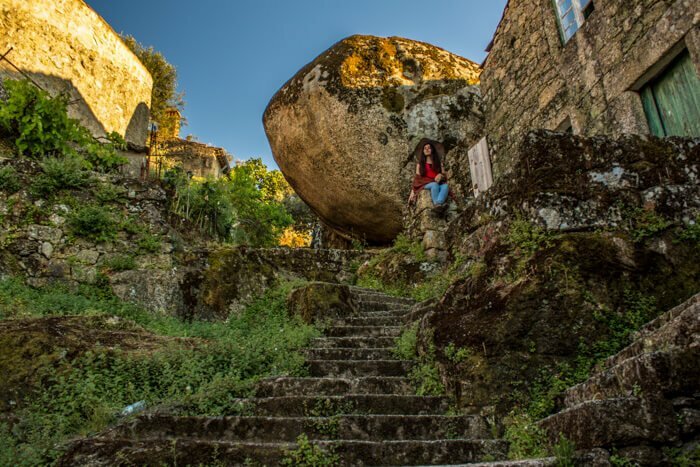 As in many rural areas of Portugal, the beautiful schist villages located in Lousã mountains were doomed to desertification. However, with the creation of the project “Aldeias do Xisto (Schist Villages)” these villages were brought back to life and to the spotlight. These villages nested deep down in Portugal heart are no longer doomed to forgetful. Instead a shinier and happier future awaits them. A future where people buy old and decaying houses to restore and turn them into charming accommodations. A future where opportunities arise for the sons of the land. First, get to know Lousã. And after, drive deeper into the heart of the mountains. Pick 2 or 3 villages between the 12 villages nested in Lousã mountains. We recommend Talasnal, Gondramaz, Cerdeira. After your spiritual retreat in the mountains of Lousã, if you already miss the city lifestyle, then visit Coimbra. It´s only 30km away from Lousã. Coimbra is praised as the university city of Portugal, since it has one of the oldest universities not only of the country, but also of Europe. Bussaco Forest is another unmissable stop in Central Portugal. 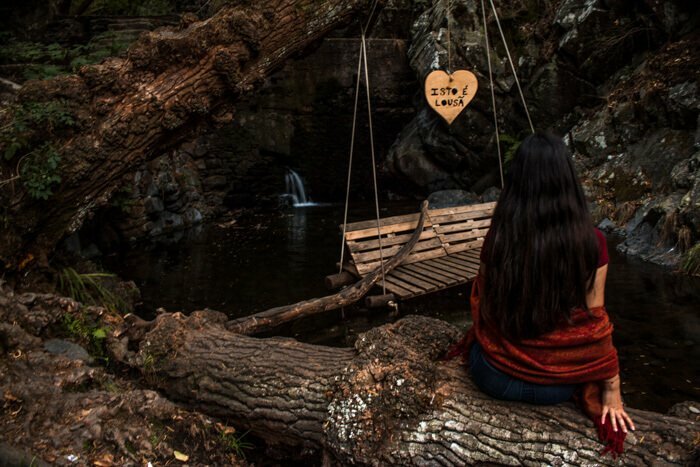 It´s the most jaw dropping forest, you´ll find in continental Portugal. 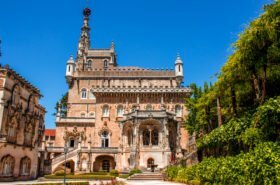 Inside Bussaco Forest, you´ll also find Bussaco Palace Hotel , the palace built for the last kings of Portugal, in the late nineteenth century, which, nowadays, is one of the most charming hotels of Portugal. 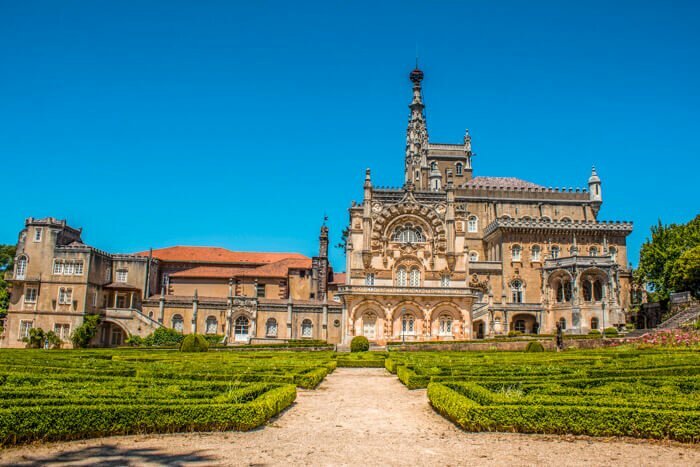 Besides Bussaco Palace Hotel, there´s also Curia Palace Hotel, another charming restored palace, which is located 15km away from Bussaco forest. Both hotels are a dream. Oh Douro, the enchanted region of Portugal, made famous for its divine wines that have been produced here for more than 2000 years. Douro is classified as a World Heritage Site by UNESCO since 2001. 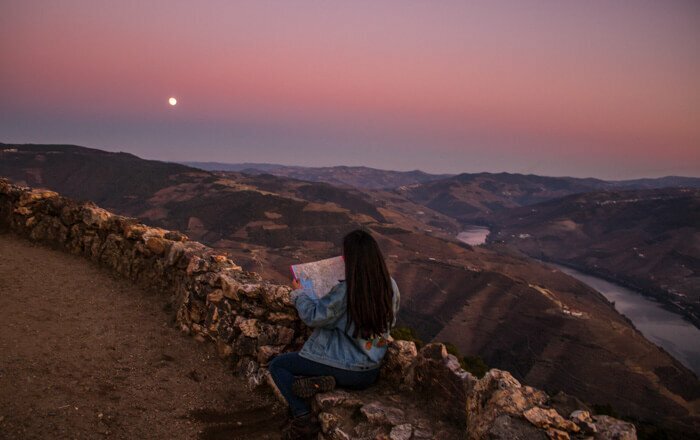 When in Douro Valley, you´ll drive through never-ending vineyards sculpted by the hard working hands of man, who transformed schist mountains into vineyards. If you think your job is complicated, imagine climbing schist mountains only to dig and plant vines. There are plenty of exquisite hotels in Douro Valley, you just have to choose the one that matches your budget. 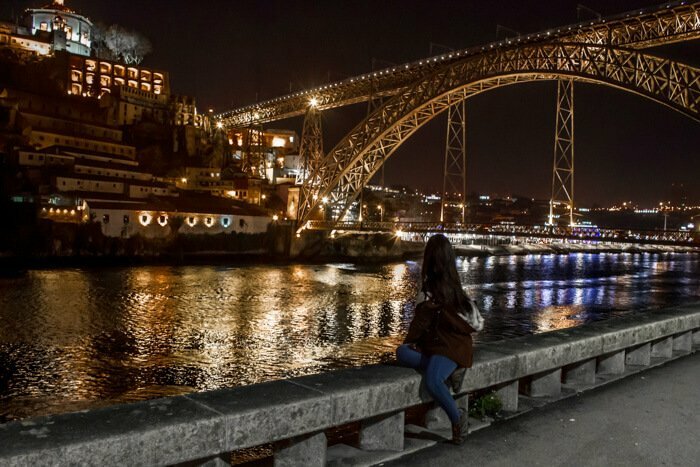 Porto is the second largest city in Portugal, a World Heritage Site & the winner of the Best European Destination 2017. If you´re a meat lover, you can jump with joy as you´re about to visit a city famous for “francesinha” – a dish that consists of a sandwich piled with beef, sausage, ham and topped with melted cheese & lots of sauce. 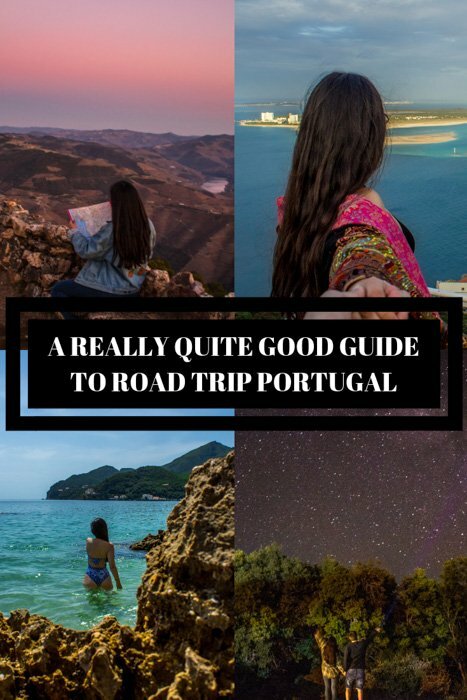 Please note that this itinerary is perfectly doable and it´s a great way to see some of Portugal highlights and mesmerizing landscapes in only two weeks. 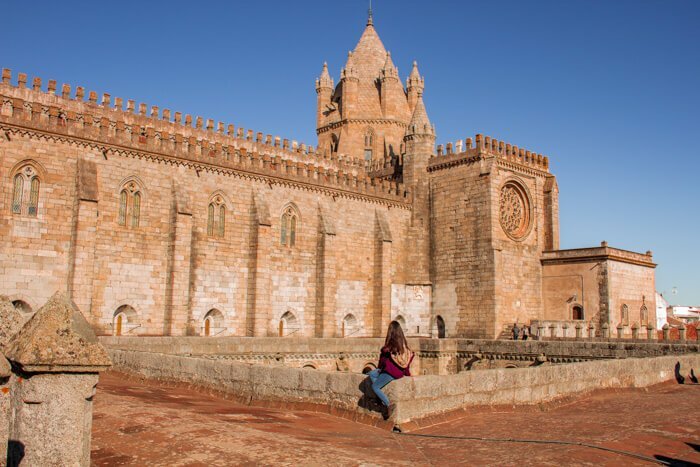 Nonetheless, the ultimate goal of this itinerary is to present you some of Portugal most gorgeous places so that you can use it as an inspiration to craft your very personal Portugal itinerary. 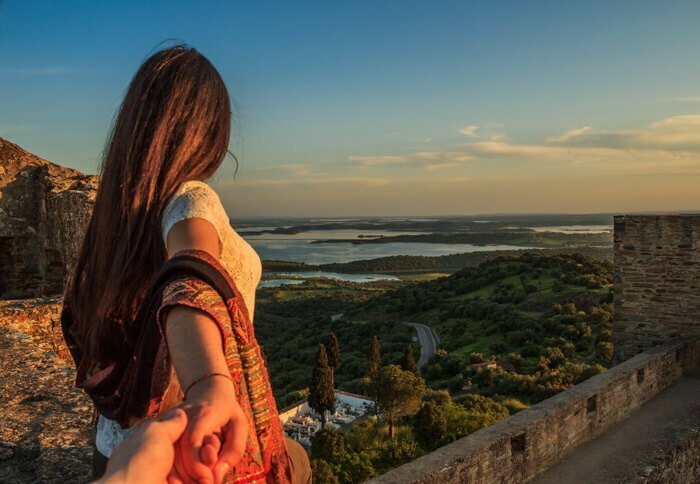 You might have to adjust this itinerary to your preferences, so that you can truly enjoy the beauty of our country, instead of driving like you´re on a deadline to visit everything and everywhere. If you´re anything like us and also enjoy spending hours searching for incredible hotels throughout the world and sometimes even consider planning road trips based on the most unique hotels around the country you´re about to hit. Then you´ll thank us for this. Here, we share with you some of the most unique hotels that you might want to add to your road trip itinerary. If you made it to the very end of this almost 5000 words long post alive, you´re awesome and I would like to apologize for the lack of words besides amazing, stunning or mesmerizing to describe the insane beauty of the country I´m lucky enough to call home. I´m totally aware of my lack of descriptive skills and, therefore, torture for appreciators of well structured and complex phrases. However, it might be a small price to pay for such an informative guide. At least, I like to think so. To redeem myself, I made a Spotify playlist only with Portuguese songs for your Portugal Road Trip.